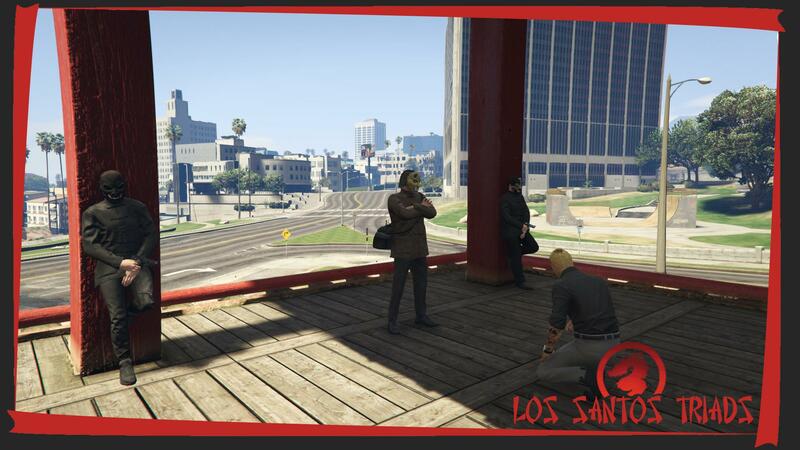 The Los Santos Triads are a criminal based organisation looking to make their mark on Los Santos. 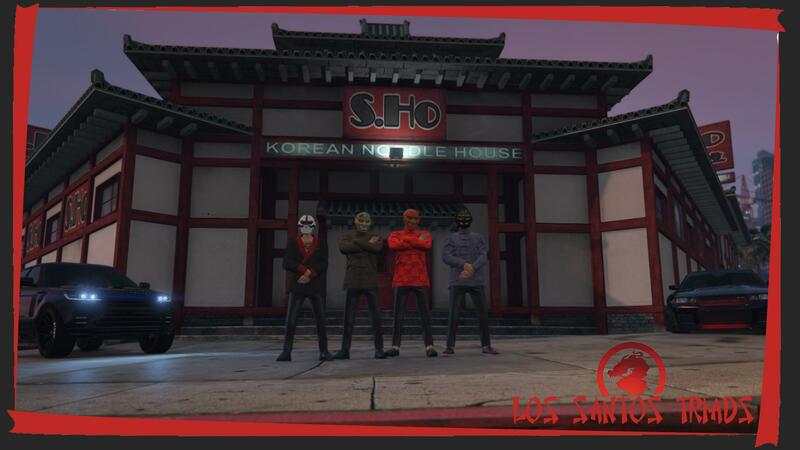 After the founding members "The Wong Family" moved from Shandong, China to Los Santos for a fresh start, they couldn't escape their past life of ex Triad members. 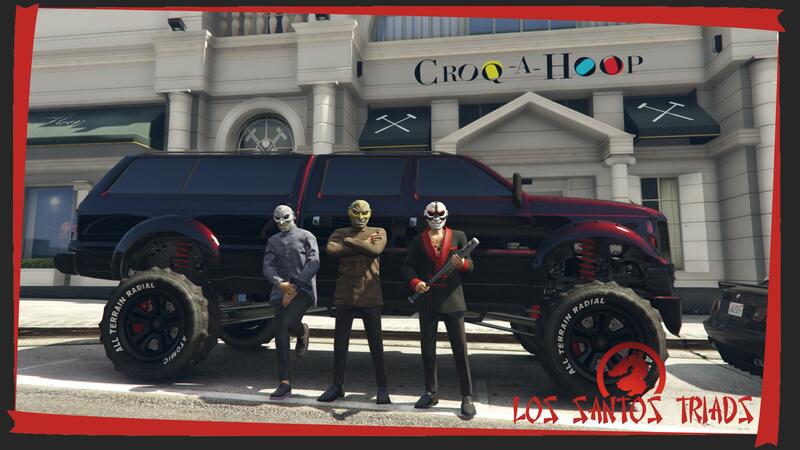 They have now chosen to form their own Organisation that will stand out across all of Los Santos, aiming for growth and success. The Wong family had been involved with the Triads since their Eldest brother Ding Wong joined their ranks. Ding and his family climbed high within the Shandong Triads earning them the group title of the Shandong Dragons. However, the family left Shandong following the Triads falling apart. 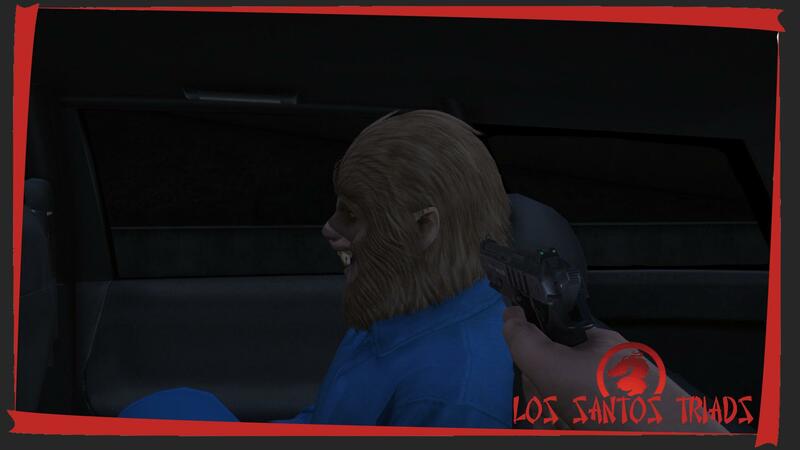 Together the family moved to the city of Los Santos for a fresh start. 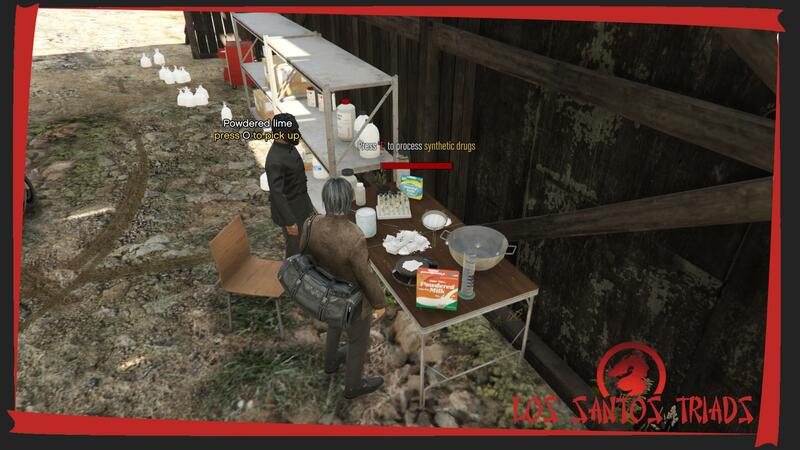 After the migration to Los Santos the Wong’s needed to find their way and make a living. Some members went off into government positions staying away from the criminal life, however the eldest brother Ding had different plans for his family. All the family have been previously involved with Triads. This provides the knowledge & experience of how the Organisation works and what is required to succeed. 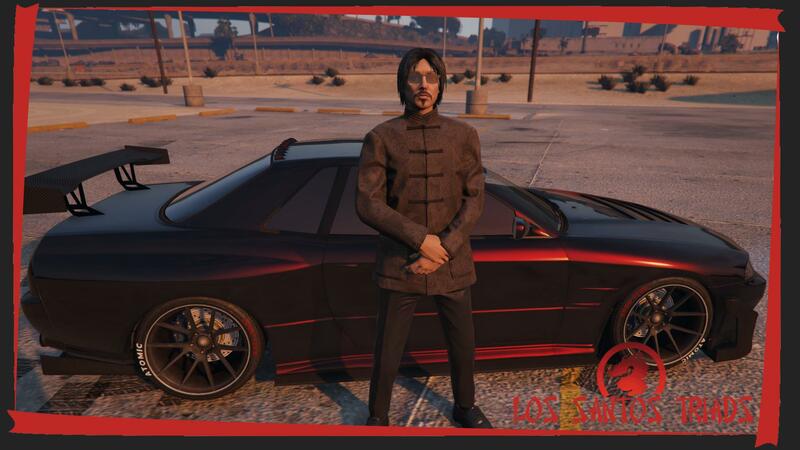 This provided the Wong’s with an opportunity to make their mark on Los Santos and make a living through criminal activities throughout Los Santos. 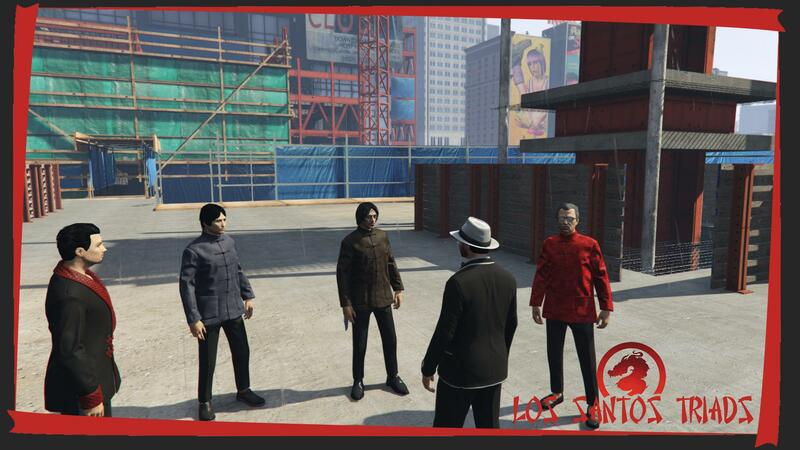 During their short time in Los Santos the Wong family had made friends with one of the known Mafia Families in the city. The Wong’s ended up working under their organisation, however, the Mafioso life style was not suited to the Wong family's style of operation. 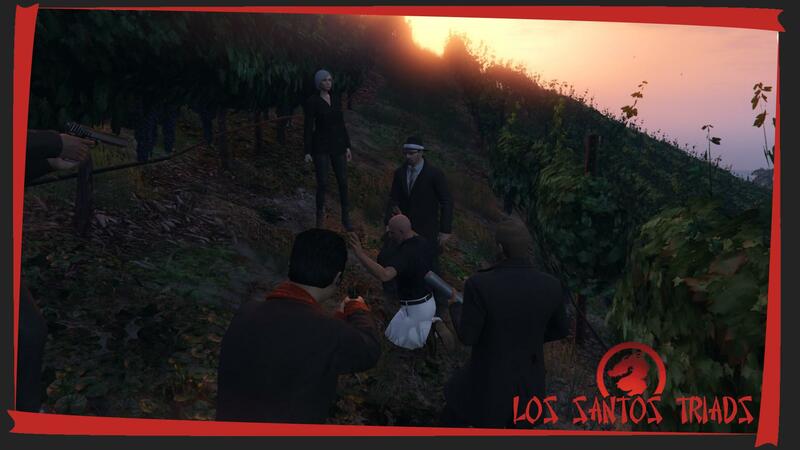 Due to this the Wong’s decided to part ways with the Mafia, then moving forward to form the Los Santos Triads. 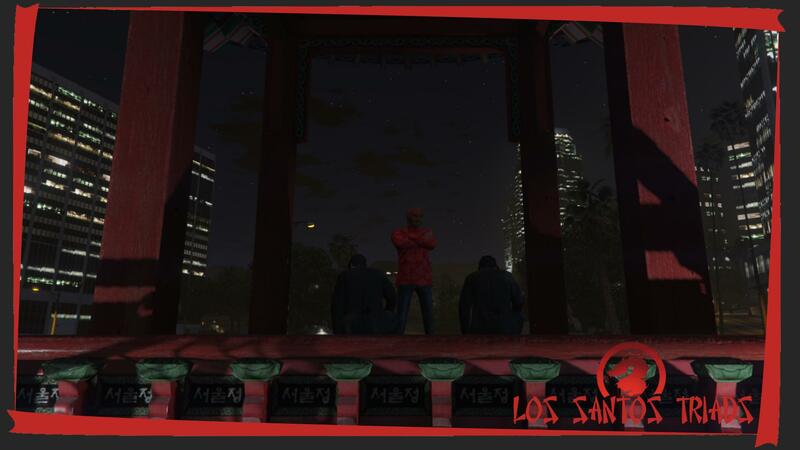 The ideology is of the Los Santos Triads is to take their rightful part in the criminal activity that already occurs throughout Los Santos. 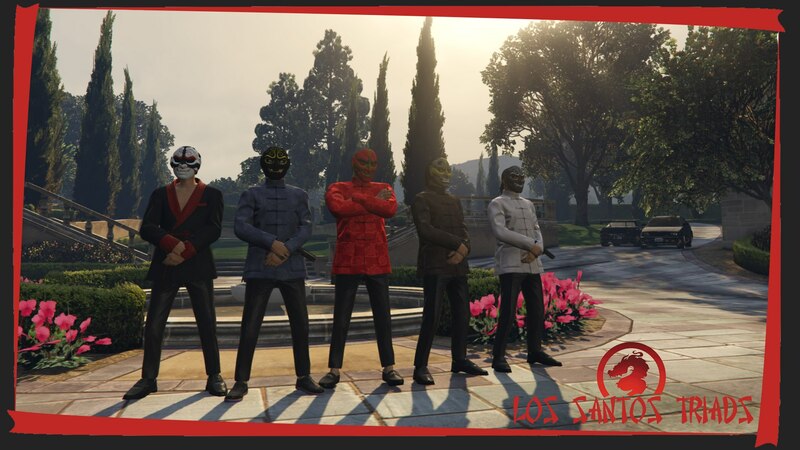 The Los Santos Triads set out to be a known and respected criminal organisation who are looking to build up relations with other gangs throughout the city. 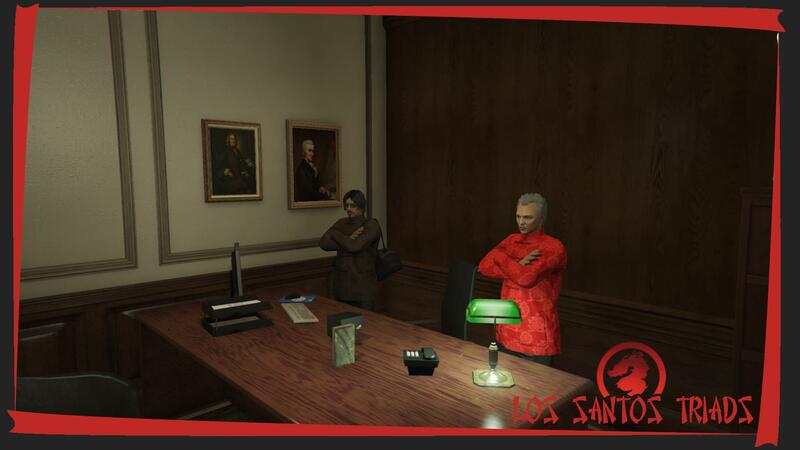 However, Los Santos Triads do not take disrespect lightly, anyone who disrespects the culture of their organisation will be dealt with appropriately. 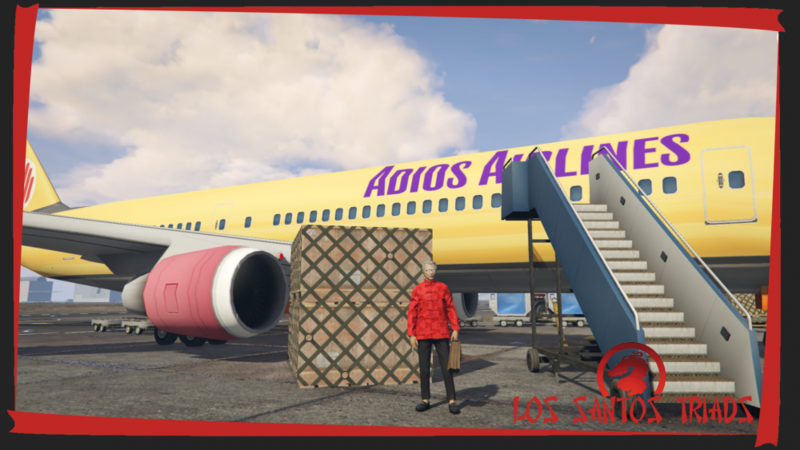 Currently the Los Santos Triads aim to spread out across all areas of active crime ranging from Narcos, Chopping Vehicles, Robbery, Extortion and Kidnapping. 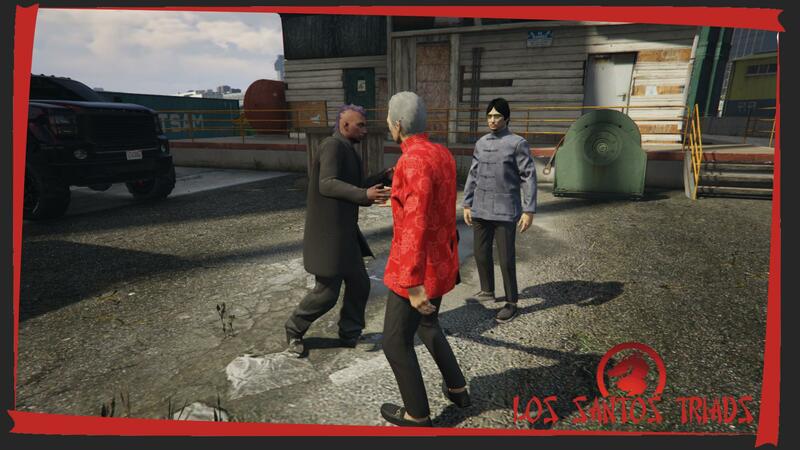 Currently the Los Santos Triads are operating out of the Wong Family house and are attempting to grow their organisation by the day in both numbers and influence. 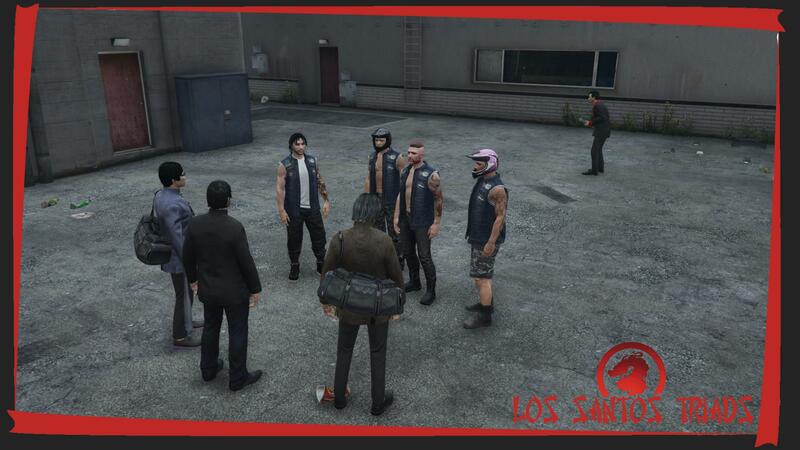 Los Santos Triads aims to form good relations with other gangs and organisations around Los Santos assisting in the robustness of their operation. Recruitment for new members is currently on going as LST aim to create a powerful organisation with the manpower to back up its claims. This will assist gain a solid place in the criminal market, allowing for better relations and agreements to be made with other organisations. 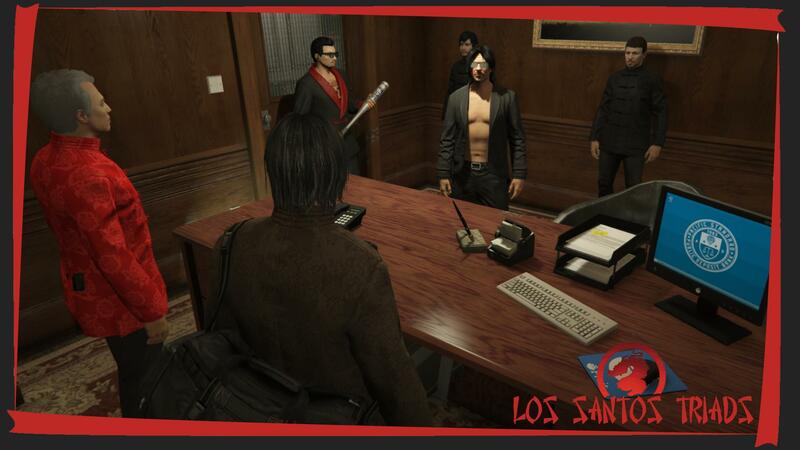 As Los Santos Triads is a newly formed operation there are many key goals that they aim to meet in the short term. Obtain a new Organisation Headquarters. Setup business agreements and relations with other gangs and organisations. Generate a steady income to back the development of the Organisation. Expand our organisations reach and its influence. 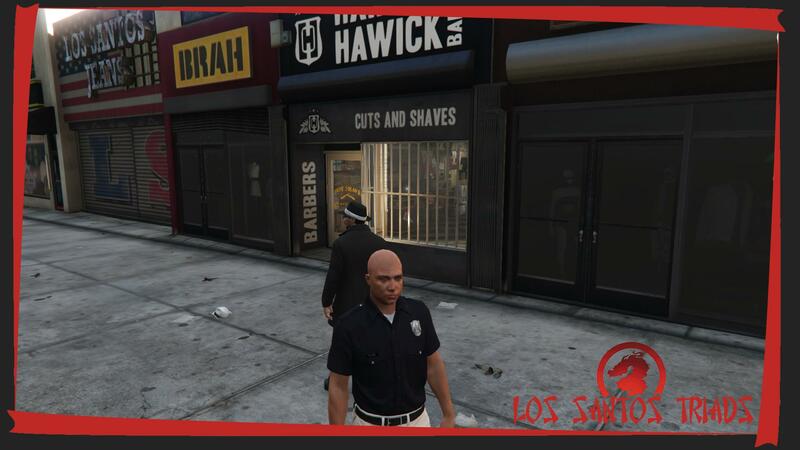 Make our mark on the city of Los Santos. Invest in legal operations to be used as a veil to cover for our criminal activities. 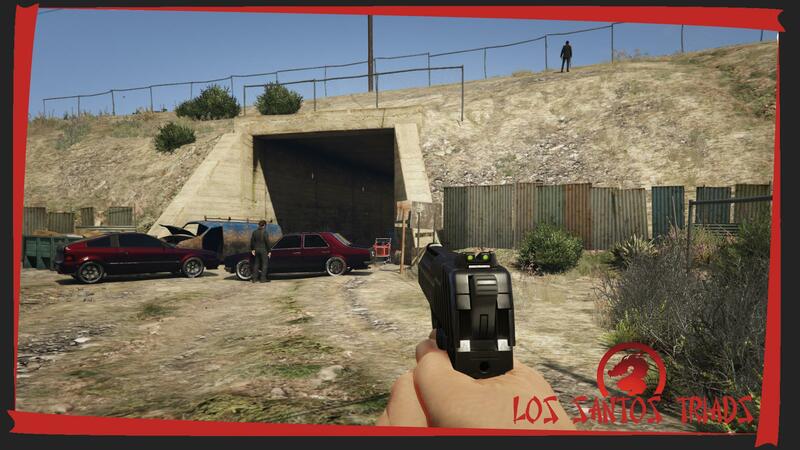 Have an area of control in the City of Los Santos. 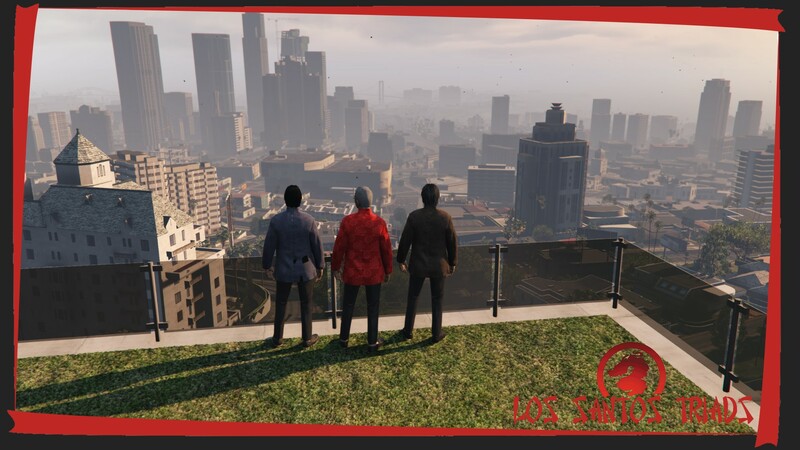 With the completion of these goals the Los Santos Triads will continue striving to improve and set new goals, creating new opportunities for each members of the organisation. 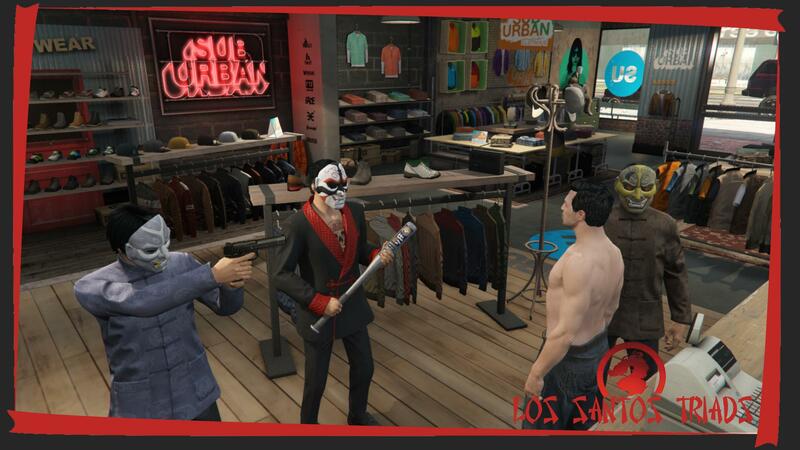 All members of the Los Santos Triads will be tattooed, wear Chinese uniforms and Masks. Each different rank will be distinguishable by what they are wearing. 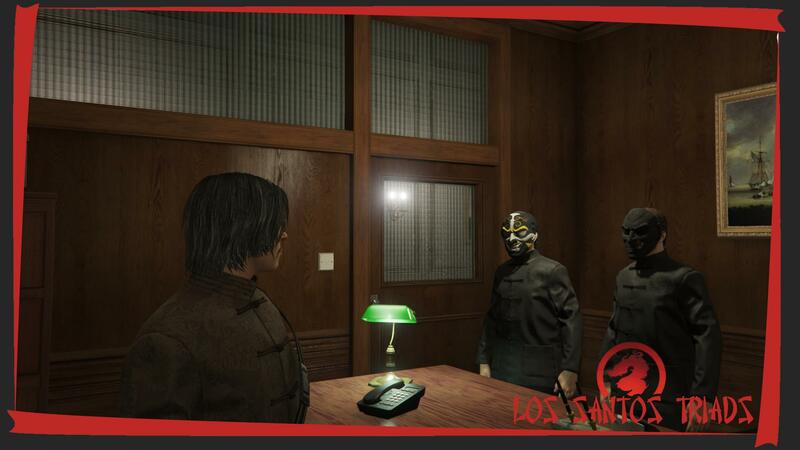 Below are the founding members of the Los Santos Triads, the Wong's. 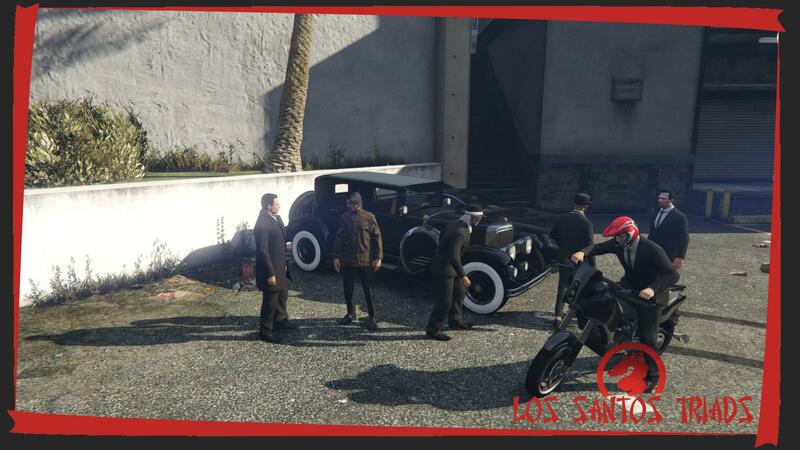 The vehicles members of the Los Santos Triads will drive are coloured Black with a Dark Red pearlescent paint through it. 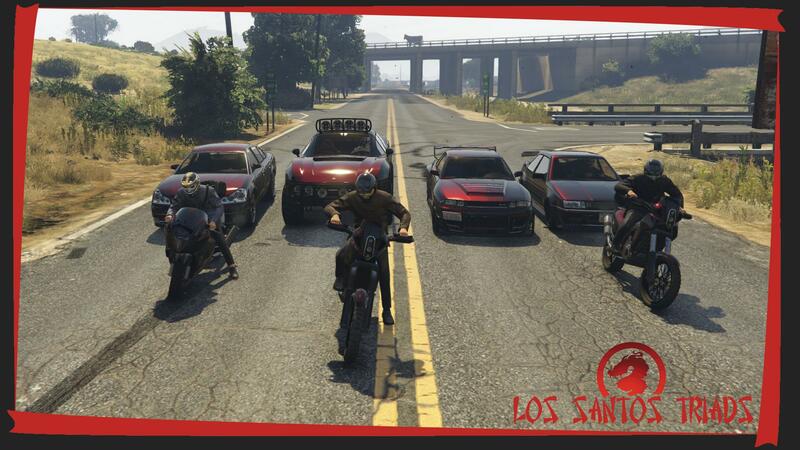 Members of the Los Santos Triads are not restricted to the use of specific vehicle models and types so long as they follow the Tradition of the paint on their vehicles. 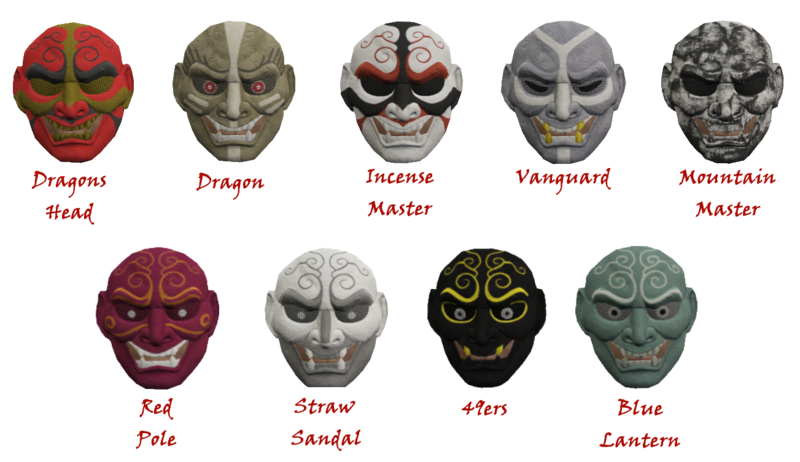 Below the masks for each of the ranks can be seen. These will be used assist distinguish each of the members ranks. The highest rank. This member assumes all control answering second to none. The second in command. This member runs the organisation when the Dragons Head is not present. The second of the higher echelon ranks. This member handles all the criminal operations and manages the operations of the Mountain Masters. One of the two higher echelon ranks. This member handles the recruitment and initiation of new members whilst also handles the promotion ceremonies. The Red Poles handle the on-ground operations and initial recruitment, reporting to the Vanguard. Each Red Pole will manage groups of soldiers and initiates. The Straw Sandals are the Triads Liason Officers. They operate on the same level as a Red Pole. Their key focus is to assist in forming and maintaining relations between organisations. The White Paper Fans handle any administration tasks required in the organisation. These members will operate in our legal fronts. 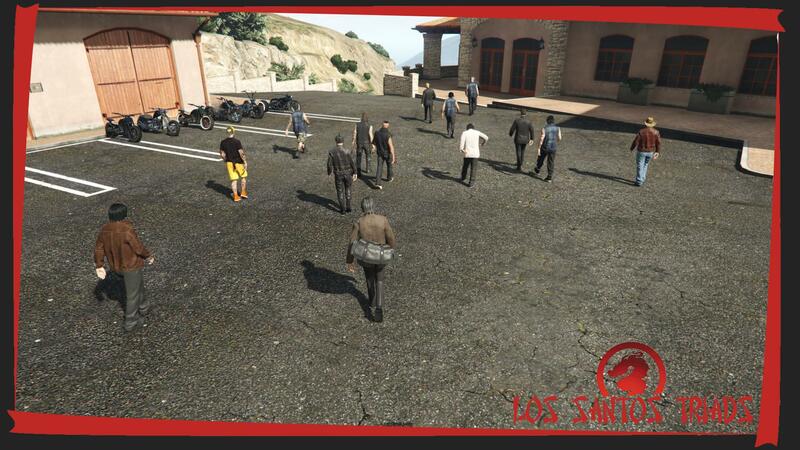 These are the members who have earned their place in the organisation, forming the infantry of the Los Santos Triads. They carry out the orders of the Red Poles, reporting to them and assisting Initiates. These are the newest members to join. These members must prove their worth to the organisation to earn their place. 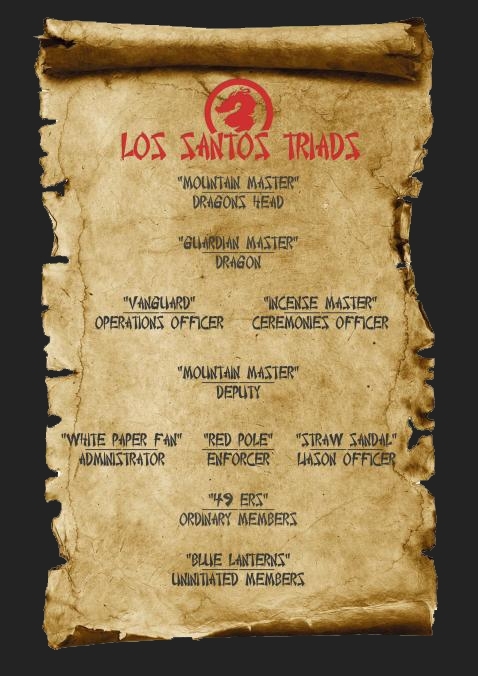 Follow all the rules set out by Los Santos Triads and its members. Respect the chain of command within the organisation. Any internals problems will be resolved peacefully and reported to your higher up. All members must always wear their uniform and have respective vehicle colours. No information from within the organisation is to be leaked to outside members. Follow all ECRP Server rules. Failure to comply will lead to removal from the organisation. Activity is required.  Inactive members will be removed unless they notify a higher up. Always maintain a high standard of Roleplay. Act mature and treat all members with respect at all times. Have a minimum of 10K Experience on at least one character. All staff punishments must be explained to the organisation. 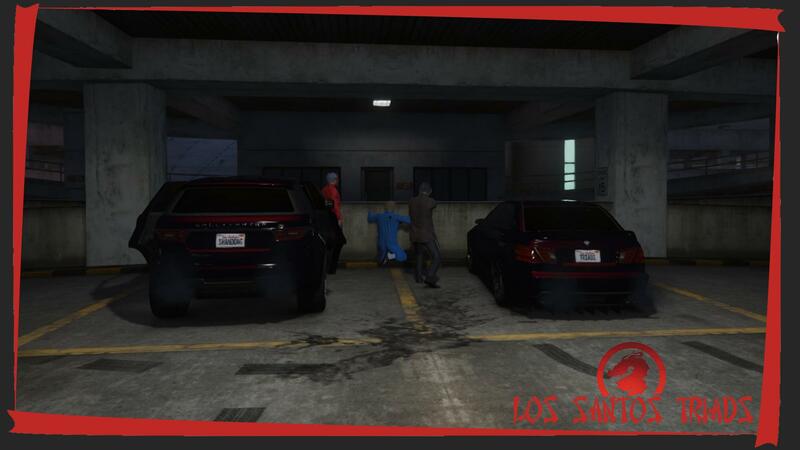 Los Santos Triads are always looking for new members to join their ranks to assist in achieving their goals. 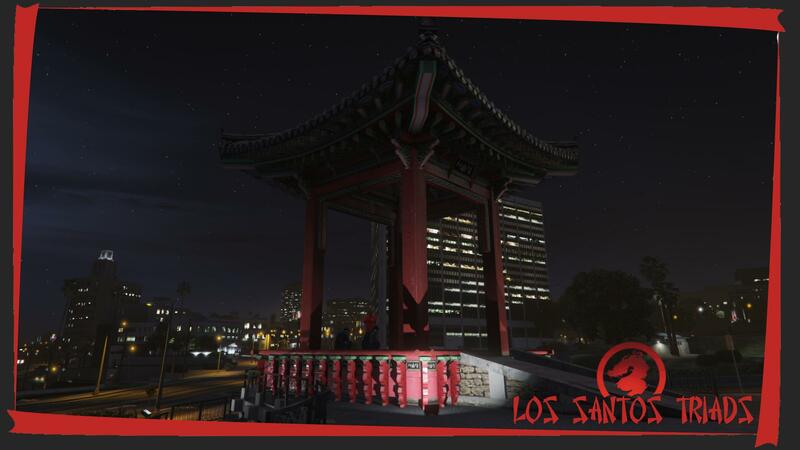 All though Los Santos Triads is a Chinese based organisation anyone worthy of joining will be accepted no matter their race or past. 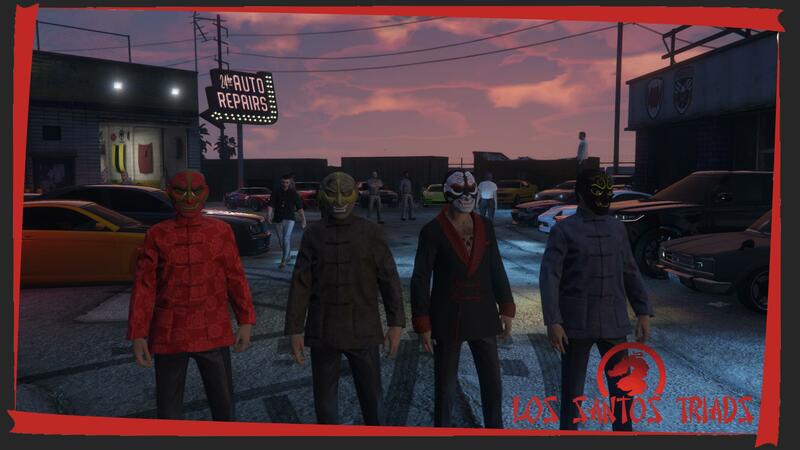 Anyone looking to join the Los Santos Triads should lookout for Chinese masks or Dark Red/Black Vehicles. You can approach any of these members and they will arrange a sit down to test your worth to the organisation. ALL APPLICANTS MUST HAVE A MINIMUM OF 10K XP ON AT LEAST ONE CHARACTER. 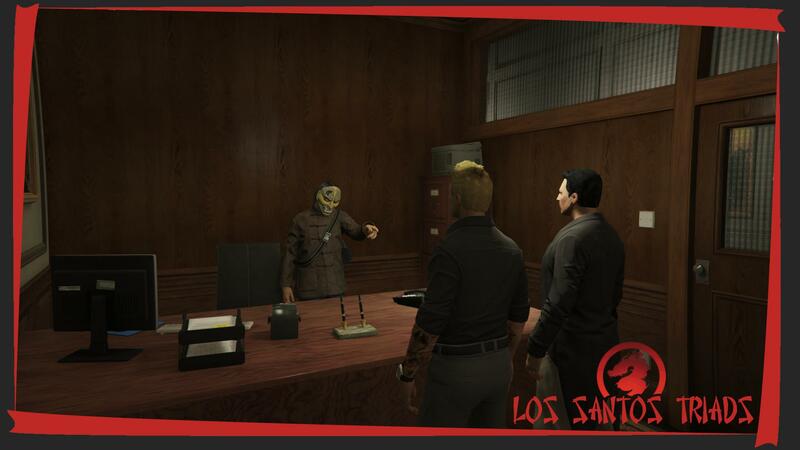 Each applicant must pass the initiation test before becoming a member of Los Santos Triads. This post is entirely OOC Information and cannot be referenced IC. The Dragons Head, also known as Ding Wong. 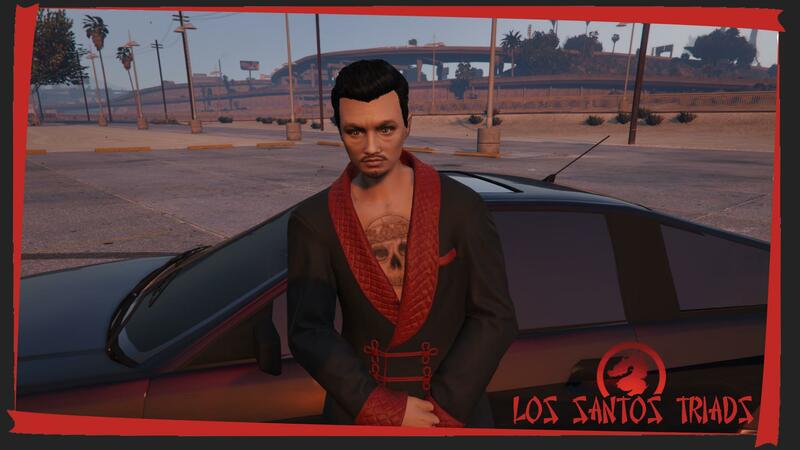 He is the eldest brother of the Wong family and one of the founding members of the Los Santos Triads. The Dragon, known as Bruce Wong. 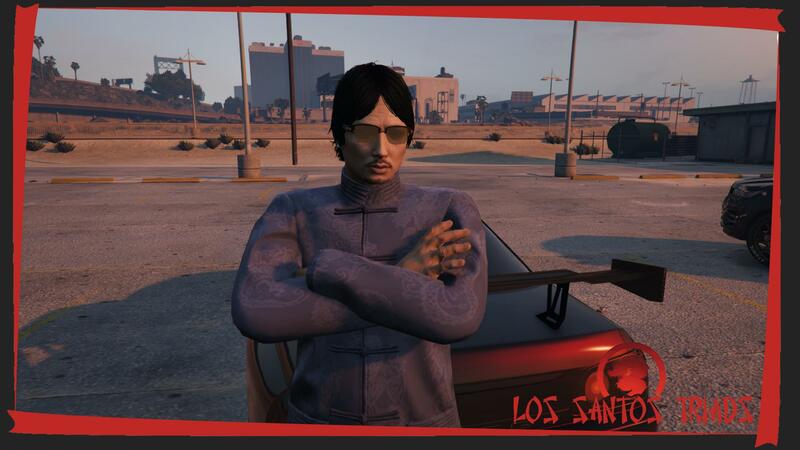 The second of the three Wong Brothers and also a founding member of the Los Santos Triads. The Vanguard, known as Bobby Wong. 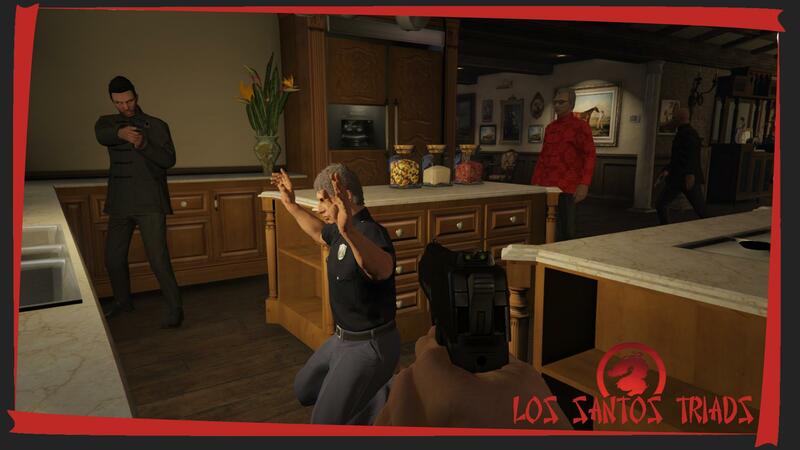 The Final brother and a founding member of the Los Santos Triads. The Incense Master, otherwise known as Po Wong. 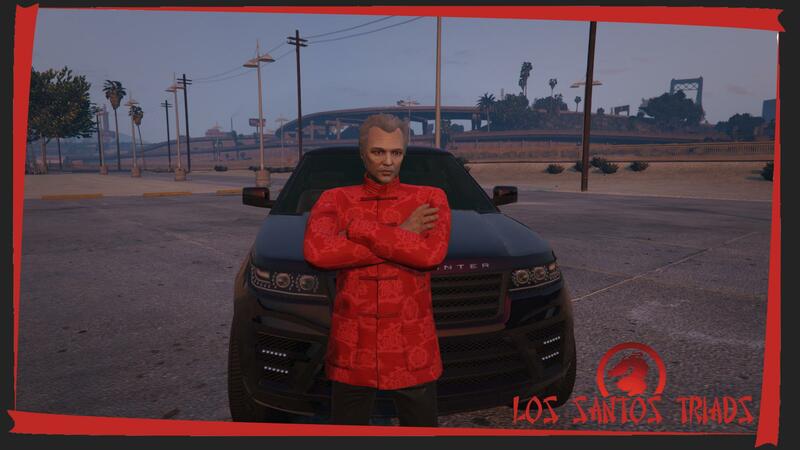 The son of Bruce Wong and a founding member of the Los Santos Triads. 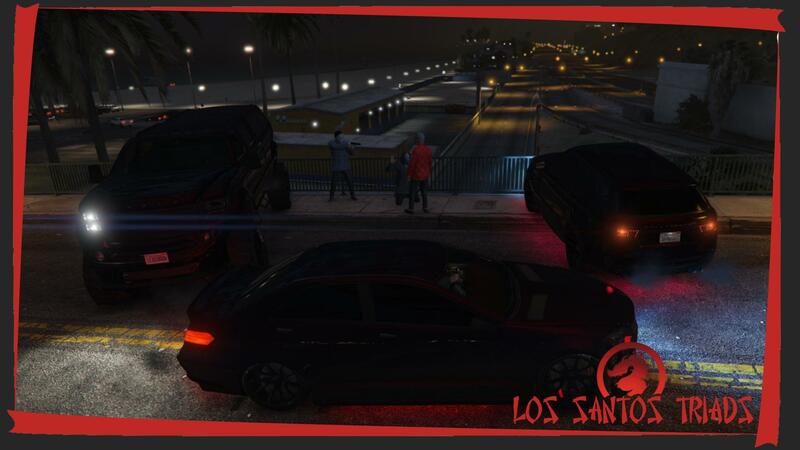 The higher ups of the Los Santos Triads making their presence known down at the Bayview hosted car meet. The Wong family out doing some Organisation Headquarters research for their new Family Business. 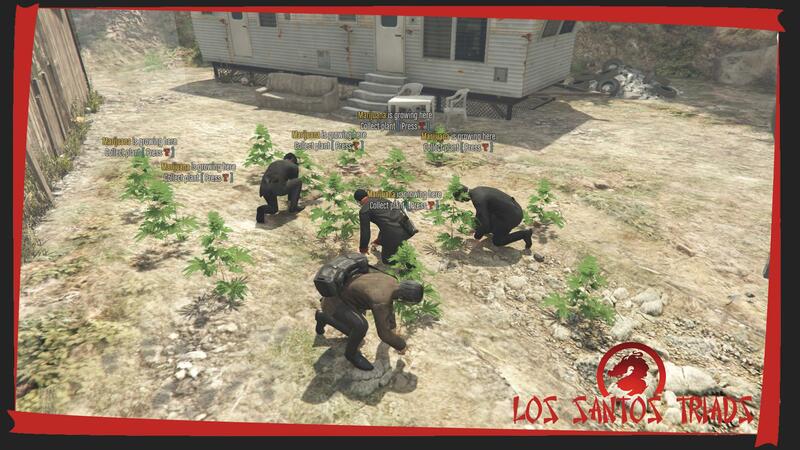 After scouting out for a new Headquarters the Los Santos Triads decided it was time to get down and dirty. The rapid increase of gun import prices lead to them resorting to Robbery. Before anything a plan was required. After the plan of action was set in place, they moved in and executed the mission fast, clean and vanished. Leaving no evidence behind. 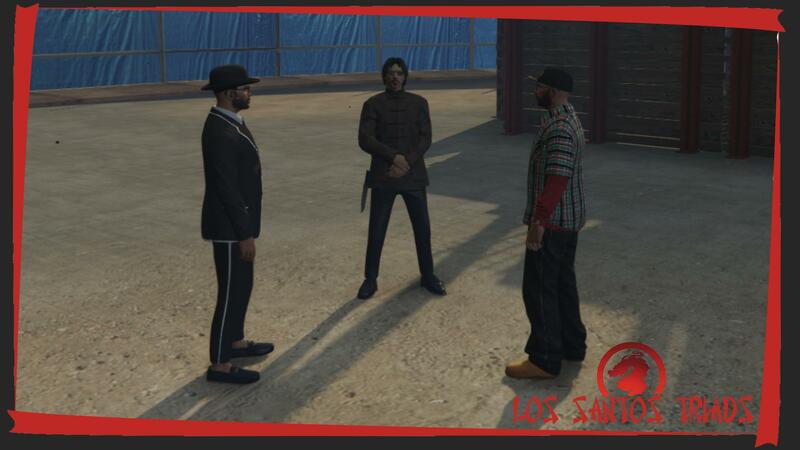 As the Los Santos Triads are fresh in town they're out on the look to make some strong connections. A meeting with a member of the Marcello Family was arranged to discuss some business opportunities. 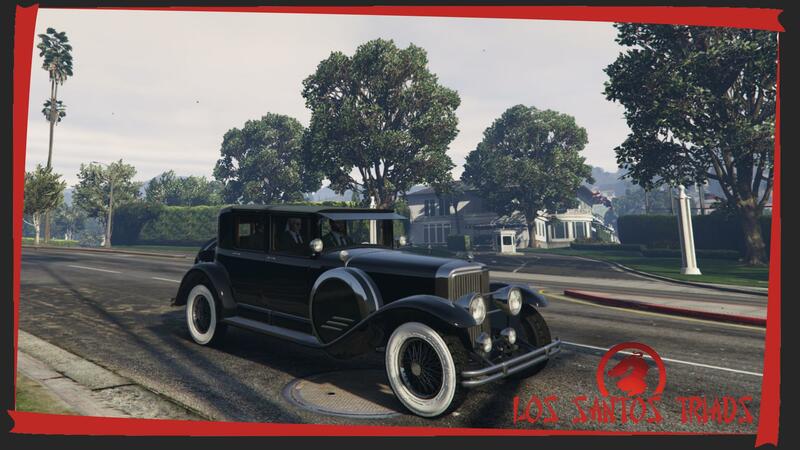 After a successful meeting between the Los Santos Triads and the Marcello Family they both arrive back at Los Santos Customs. Black Hand Triads nostalgia from SA:MP days. HAH! 😄 yeap there was a lot of them . Looks nice! Keep it up! A couple days pass and a new meeting has been arranged. Now it's time to introduce the key members of the Triads to the Marcello Family. The Triads arrive ahead of time at the location, being greeted by one of the Marcello's whilst they wait for others to arrive. Another successful meeting between the Triads and the Marcello Family. The future is looking bright between the two organisations. 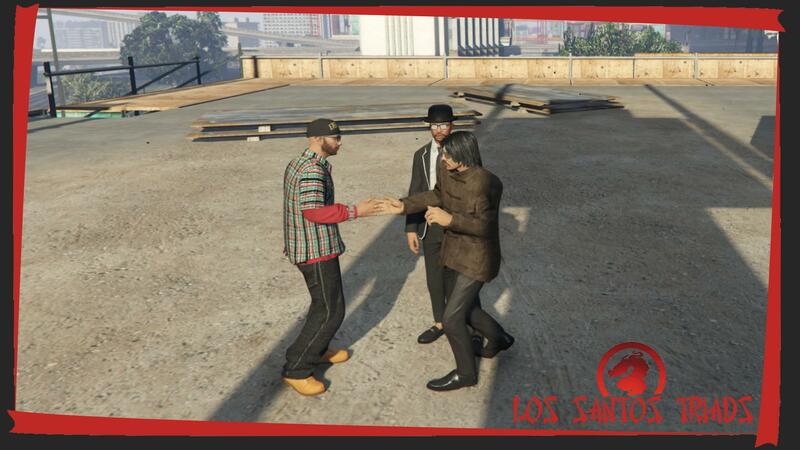 The Los Santos Triads continue striving to expand and make new positive relations with other organisations throughout Los Santos. 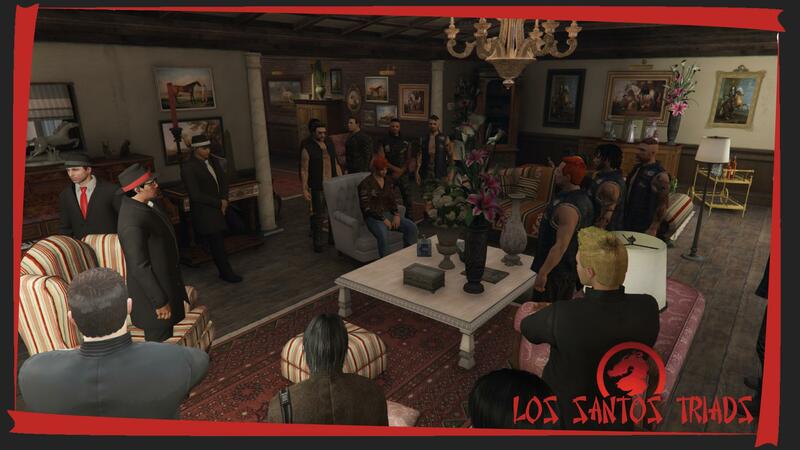 A meeting was arranged for both the Triads and the Marcello Family to meet with the leader from "The Wanted". Some key areas were covered during the meeting and key issues were smoothed out. 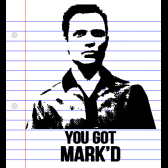 The Triads, Marcello's and The Wanted all seemed to share the same hopes for the state of the city. Ending a successful meeting, good relations were formed and plans for the future had been set in place. As some of our men were ex-members of another organisation, it was time to clear the air. 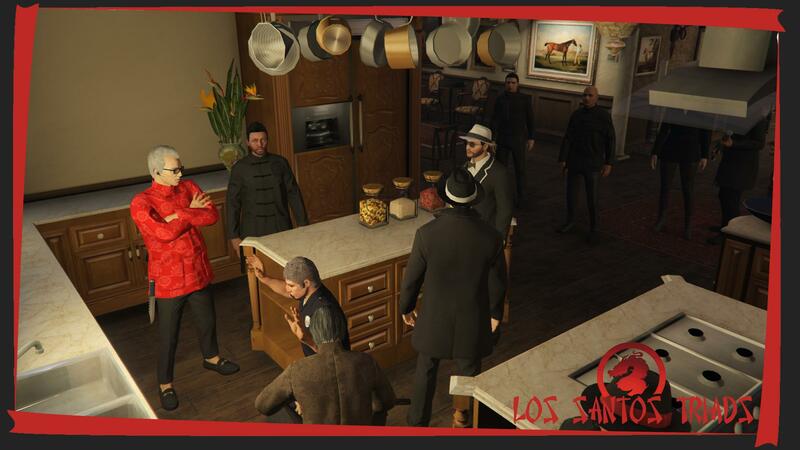 A meeting was arranged with a member from L'ultima Famiglia in hopes to solve any potential issues. One of the Martinez Brothers was making threats to kill one of the Triad members. A threat to any member is a threat to the entire organisation, we dealt with him swiftly. Taking the man hostage and showing him not treat the Triads lightly. After a successful kidnapping attempt, the man was taken to a remote location and dealt with accordingly. After being bruised up a bit, teaching him a vital life lesson. He was returned "free of harm" and will no longer cause bother with any members of the Triads again. Two of the latest recruits have proven their worth to the organisation. It's now time for them to be properly initiated into the family. The Dragons Head further explained to them the conditions of becoming a fully fledged member. Both of the men agreed and showed the utmost of respect to their superior. The Triads are growing steadily and gaining more influence within the city as the days progress. Having a meeting with two of the Initiates to find out if the newest recruits have proven their worth to our cause and to get other opinions on the new men. After the discussion was complete the two men were invited in to join us. They were informed of our decision and what their future with the Triads is. One man had proven highly valuable to the Triads, whereas the other still needed to earn his place. The man sat the initiation test like all members and passed. At the official ceremony location he was promoted into the Triads. 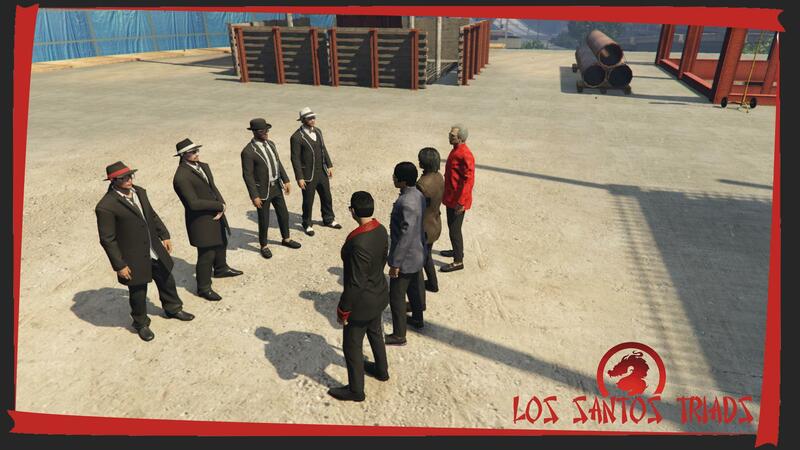 A meeting was arranged with the members of the LBB MC to see how our two organisations would work together. After setting out some areas of concern and coming to a deal, we agreed to introduce them with our other connections. A meeting was arranged at the Marcello Family home, where many different organisations and gangs were present. After everyone had arrived at the Marcello estate it was time to enter and get down to business. The key members from each group took and seat and began raising their areas of interest and concern. A strong bond was formed on this day. As the days progress the Triads are making their presence known throughout the city. This is attracting new members to our cause, some of which prove themselves worthy. Due to the rapid increase of recruitment each member is fully tested and evaluated by the heads of the Triads. Only one of the people interested proved his worth and loyalty to the organisation. He was offered the chance to officially join us. However, there's conditions to being a member. Documents were provided detailing this. Time to make some money and take our claim of the criminal activity. Triads gathered and secured a Drugs Lab for their operation. Triad members partaking in some gardening to help clean out the weeds at our local trailer park. After doing some research, two of the men made some good discoveries. Fair to say the men struck gold on this day. During a meeting with the Marcello's we had an uninvited guest. First case was to interrogate the man and find out why he is here. After the man refusing to answer any of our questions it was time to show him who's in charge. One of the Marcello's left to get clippers from their car whilst a member of the Triads held him steady. It was time for a little haircut. Our little friend from earlier decided to make a second appearance, interrupting the meeting yet again. This time he tried to make a break for it. Fair to say he definitely wont bother us again. Ding Wong has set off on a journey to establish a modern day silk road. He plans to export games consoles, games and DVD's to China in return for firearms. Ding is meeting with an old friend named Pong Xing who is a notorious arms dealer in and around the province of Shandong. 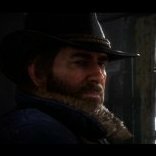 They plan to send the consoles to a remote airstrip in the western region of south Korea, to them ship then into Shandong passing by the custom officers in a small shipping vessel.